​7 night tour exploring the best of Lewis & Harris whilst staying in a wonderful sporting lodge. 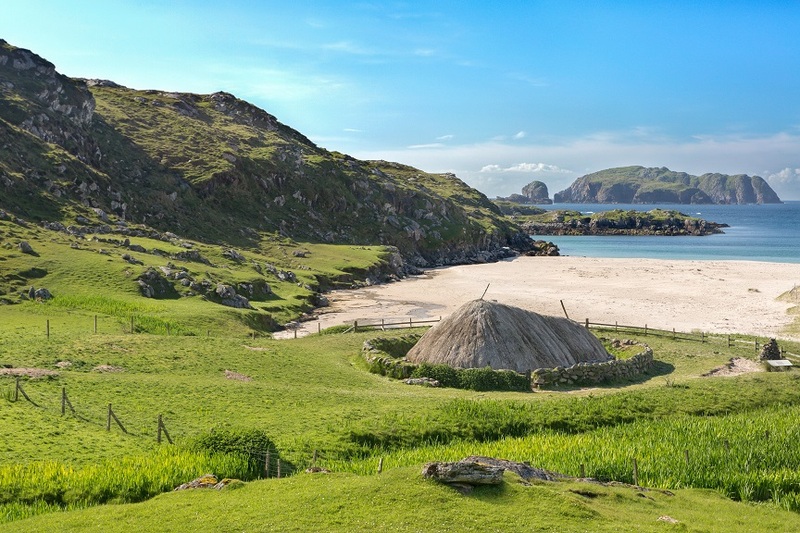 ​Would you like to spend your holiday discovering deserted beaches, dramatic seacliffs and great wildlife, then at the end of the day relax and dine in one of the Hebrides' most exclusive sporting lodges? If so, this is the holiday for you! We finish with a day exploring what many people regard as the most beautiful place in Lewis (high praise indeed!) - the Uig area in the west of the island. This dramatic region of low lying, rocky hills and spectacular sandy beaches was where the famous Lewis Chessmen - a complete set of Viking chess pieces beautifully carved out of walrus ivory - were discovered in 1831. We will be staying in the luxurious Soval Lodge near Laxay in south Lewis - one of the most comfortable places to stay in the Outer Hebrides and an excellent base for touring Lewis & Harris. The Lodge is furnished to a high standard and the main living rooms have wonderful views out over Loch Erisort to the hills of south east Lewis. All bedrooms have ensuite or private bathrooms. The Lodge has its own chef who will be preparing fabulous meals using the freshest local produce. For more information about where you will be staying go to www.sovalestate.co.uk. ​Easy / Moderate. These holidays go at a gentle pace, with plenty of time to stop, take pictures, soak up the atmosphere and watch the wildlife. However, they are still walking holidays, so you will need to be able to cope with a reasonable amount of hiking each day. As a guide, you should be able to manage small uphill sections, be comfortable walking for 4 - 5 hours and 6 - 7 miles or so each day, and be confident walking away from paths - for example over rough, grassy hillsides. What's Included: 7 nights accommodation, 6 days walking. Full board at Soval Lodge, with full Scottish or continental breakfasts. Packed lunches. Evening meals. All transport during the holiday, including collection and transfers to / from Stornoway at the start and end of the holiday. The services of an experienced walking guide. What's Not Included: Transport to / from holiday departure point at Stornoway. Entrance to any visitor attractions. Wildlife cruise (this costs an additional £50 per person, payable on the day). Travel insurance. Tips for Lodge staff at the end of the week.